Chateau Civrac was a run-down 18th-century chateau on the right bank of Bordeaux, now run by Cornishman Mark Hellyar. Surrounded by 25 acres of vineyards in the less fashionable appellation of Cotes de Bourg. Not the flat lowlands of the Medoc. 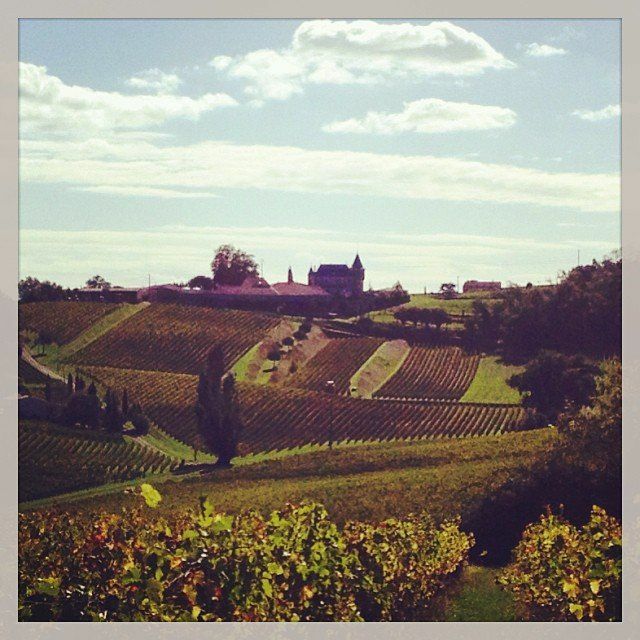 Cotes de Bourg is a hilly, Roman-influenced, almost Tuscan looking region. Civrac lies 5 minutes from Bourg in the surrounding rolling hills. Mark's aim was to make a contemporary wine here for an international market , not a traditional domestic one. Soft and fruity and not like the traditional robust reds that the region is more well-known for. Mark, the agent provocateur? As an outsider, he is not constrained by tradition, which is strong in the region. The Cotes de Bourg is an interesting place to make wine as it has the highest percentage of Malbec plantations in Bordeaux. Malbec, although planted by the Romans, normally only used in small amounts, is a spicy and beautiful colored grape, capable of making wines with rich color and spice and ideal for modern fusion cuisine. Chateau Civrac makes wines in a natural way. That means winemaking by hand, tending the vines by hand and only using machinery and treatments when necessary. This, naturally, makes production costs higher but it's evident in the taste. Wines are free from additives and chemicals that other mass produced wines contain. We're lucky to have Mark join us for Wild Wine Club regularly, where we often choose to pour his beautiful wines.